The Style It Undercoat Rake is ideal for targeting stubborn knots and mats in your pet’s undercoat whilst leaving the top coat in healthy condition. The rotating pins deliver a gentle action without pulling hair or causing discomfort. Loose undercoat hair will also be removed by regular raking, keeping the undercoat free from further knots and mats. 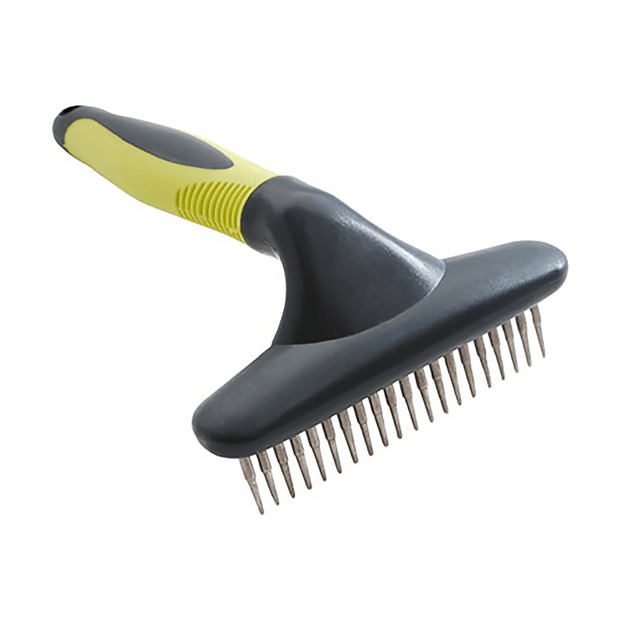 This tool is ideal for double coated breeds. Use in conjunction with the Style It Dematting Tool to work through stubborn knots or mats before attempting to pass a rake through the coat. For all your pet’s needs check out the dog shop. Perfect to use after brushing with a slicker brush, as if helps check that all knots have been combed out.